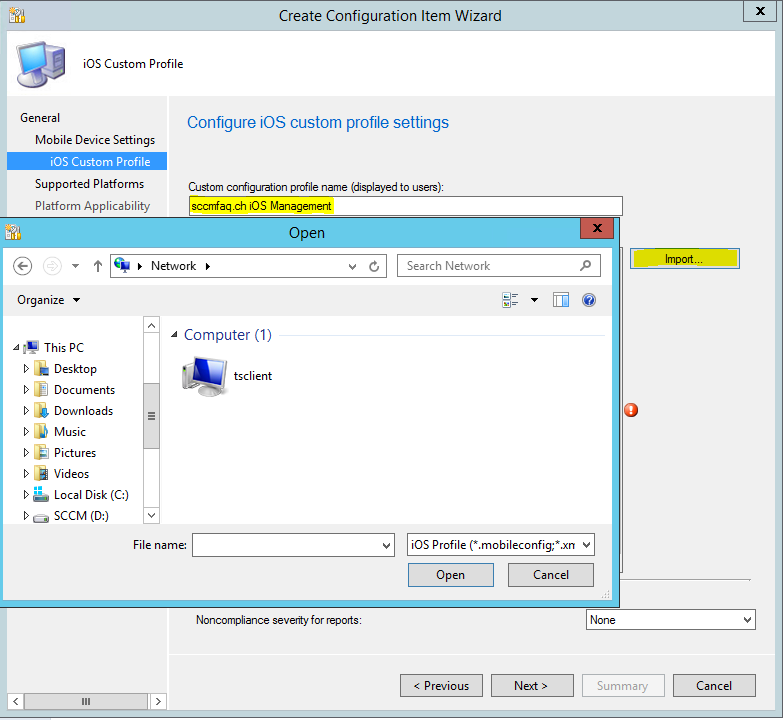 finally I got time to check, which new Features was brought to us System Center 2012 configuration Manager guys with the R2 SP1 update. My interests were on the iOS and Windows Management. And for both of them, some nice Features were added. 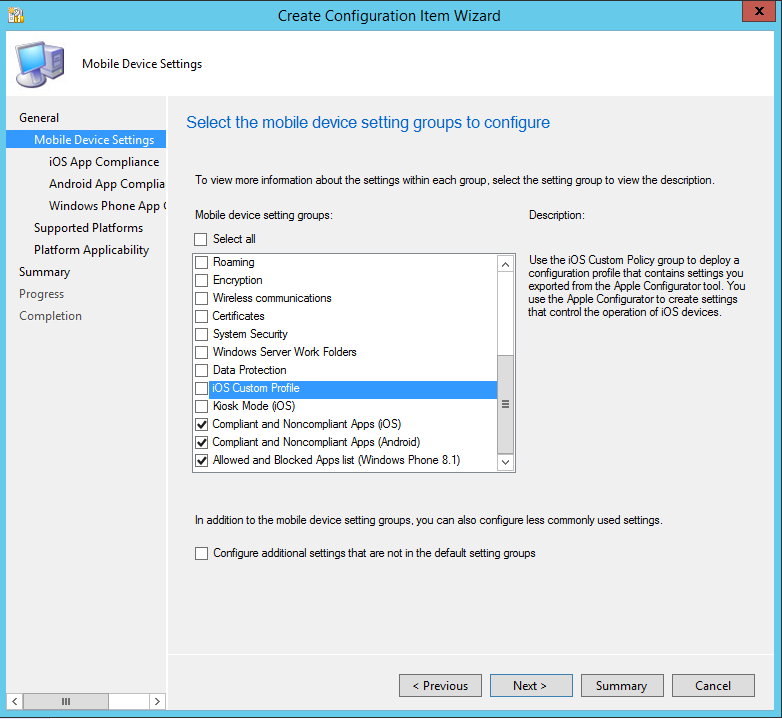 You might noticed the difference between iOS/Android and Windows Phone. 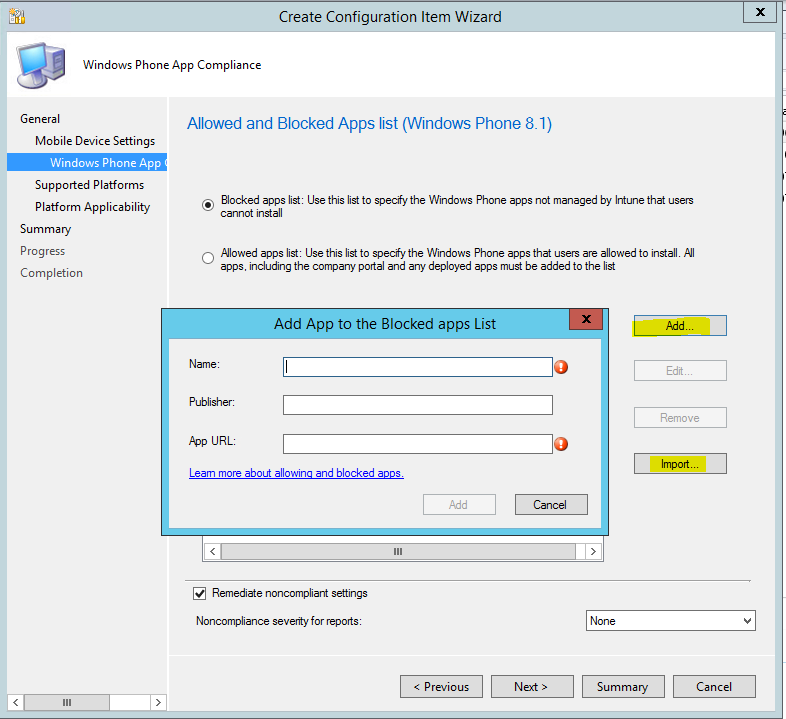 Currently it is only possible to Block Apps on a Windows Phone Device, for the other Devices, only the state will be reported (if they are compliant or not), referring to https://technet.microsoft.com/en-us/library/mt131422.aspx . The following Screen in the wizard is for all the platforms the same, thus I only Show it once. As you can see, you can select allowed or Blocked Apps, and afterwards, you have to add the applications. 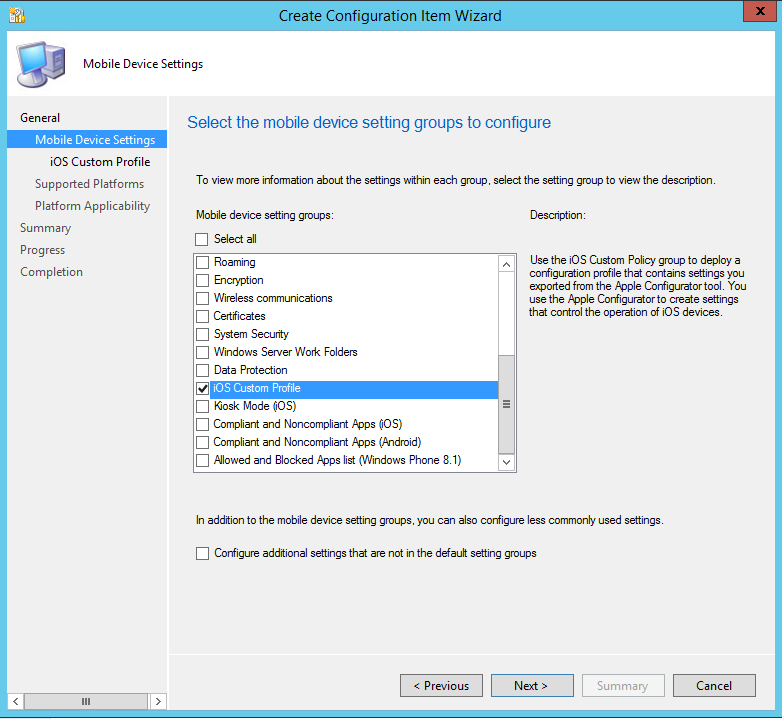 You can add them one by one or using the Import Button to Import the apps with a csv-file. You can also select to remediate the Profile Settings.